The Wizard of Odds: Rutgers to Notre Dame: Forget About It! Rutgers to Notre Dame: Forget About It! If you're going to negotiate with Rutgers these days, well, you're going to negotiate on the Scarlet Knights' terms. That's the way things are done in Jersey, understand? The Scarlet Knights were scheduled to start a six-game series with Notre Dame in 2010 but the Fighting Irish have to told to take a hike. Notre Dame wanted the three games scheduled for Piscataway to be moved to the new NFL stadium being built at the Meadowlands. But Rutgers, which is spending $102 million to renovate its stadium, was against such a move. "We feel Rutgers' home games should be played on-campus at Rutgers Stadium." athletic director Bob Mulcahy said. But this being Jersey, nothing comes easy. The contractor in charge of the Rutgers' renovation project had been previously fired from all work on K-12 public schools in the state. Update: An interesting piece on the Notre Dame-Rutgers situation in the New York Times, and a biting column in the Daily Targum, the Rutgers student newspaper, saying it's about time somebody stood up to the Notre Dame bullies. Now that Rutgers said no, is Syracuse the next scheduling target of the Irish? I'm confused why you would post this since it has nothing to do with Nick Saban. Wait a minute, why isn't Notre Dame being criticized for even scheduling Rutgers? Rutgers football other than the last two years has sucked. Lets see what they do without Ray Rice. 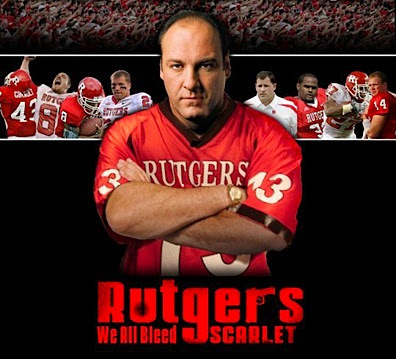 Also, didn't Notre Dame play at Rutgers in 2000? Besides the period between 1996-2002 when exactly has Rutgers "sucked" anon2?